The prophet is a person, not a microphone. He is endowed with a mission, with the power of a word not his own that accounts for his greatness – but also with temperament, concern, character, and individuality. The situation of a person immersed in the prophet’s words is one of being exposed to a ceaseless shattering of indifference. …Reading the words of the prophets is a strain on the emotions, wrenching one’s conscience from the state of suspended animation. Worship preceded or followed by evil acts becomes an absurdity. The holy place is doomed when people indulge in unholy deeds. 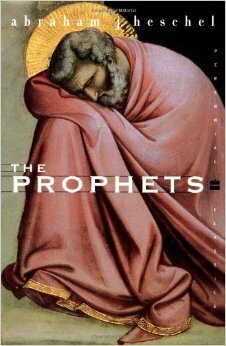 The prophet …begins with a message of doom; he concludes with a message of hope. His essential task is to declare the word of God to the here and now; to disclose the future in order to illumine what is involved in the present.